I am so excited to be a guest blogger! I’ve only been blogging for 3 months, so when Sue asked me a few weeks ago it really took me by surprise! So far I’m loving the whole blogging experience. I had no idea what I was doing when I started, but just wanted to keep track of some of the things I make. I don’t know about you, but often I make things and a week later can’t remember! So I started my blog mostly just to see what I’ve made. But it’s been great getting feedback from people too – so many people have left lovely comments about the things I’ve made. And I’ve also discovered a whole host of like minded people with their own blogs which have inspired me and sparked off enough ideas to keep me going until the end of the year! Anyway, enough of my rambling. I wanted to share with you an idea which may seem pretty batty at first, but that I’ve had lots of fun with. Tea towels! It was really my friend who gave me the idea. 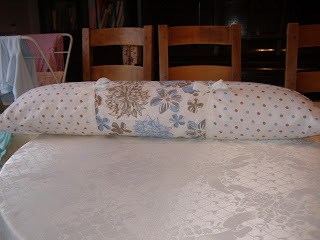 She’d seen some draught excluders while we were out shopping, but they didn’t have any colours or patterns she liked. She saw the tea towels in my basket and asked “Do you think those would work as a cover?” They did! 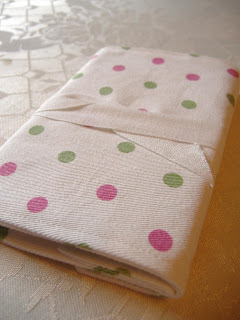 Just 3 tea towels cut to the right size and stitched together made this really cute cover. I added a couple of ties to keep the gap closed and stitched on a couple of buttons for decoration and Ta-Dah! A whole new look! But I had some leftovers. Not much, but I don’t like wasting anything. So I made a matching set of coasters with spots on one side and flowers on the other. 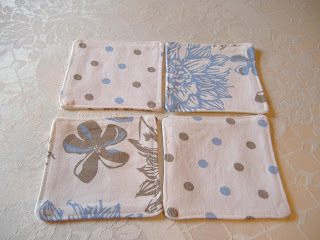 These are super easy to make – cut squares to whatever size you need, put them right sides together and sew around, remembering to leave a big enough gap to turn them inside out at the end. 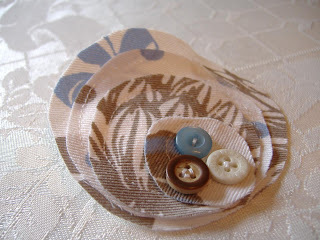 When you’ve turned them so the seams are on the inside, give them a quick iron and stitch all around the edges. All in about half an hour! So far so good. 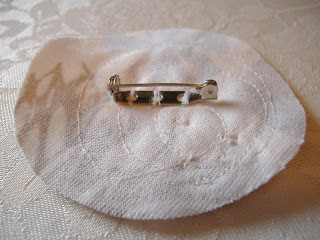 But there were still a few little bits over – just the right size for a brooch. I cut out 4 circles of different sizes and just stitched them together. My stitching was a bit wonky on the smallest circle (I mostly work in straight lines on my sewing machine, so curves make me panic a bit!) so I stitched on a few buttons to hide the wonkiness, then finished off with a pin on the back. It’s a notebook cover! For some reason my notebooks tend to attract stray bits of paper, which then fall out from in between the pages every time I pick them up. So a cover helps to keep everything neat and under control. 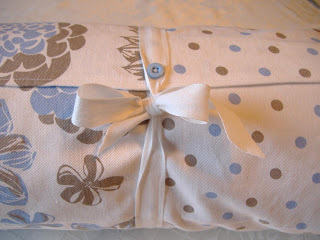 The cotton tape wraps all the way round and tucks in the back. 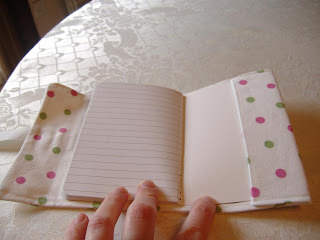 This allows for expansion at extra bits of paper find their way inside! 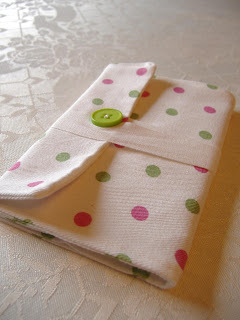 A little flap at the end could easily double as a pocket. So there you have it, four ideas for how to use a tea towel without once having to do the drying up! or have a look at my Coriandr shop (www.coriandr.com/shop/cuteasabutton). I hope you will all agree in saying a fantastic post from Laura! and see the other wonderful things she makes! I've forwarded your comment to Laura. Thank you ever so much. Hi there. Following you now from Mom2MemphisandRuby. What I great idea she is doing for you all. PS I LOVE THAT PILLOW - I WANT ONE!! Kim Thanks ever so much!